How can we maintain and restore biodiversity in a changing world? My research explores drivers of plant and lichen diversity at multiple scales in both natural and restored systems. I use botanical field studies across large geographic areas, often in combination with remote sensing techniques, to examine the relative influences of management practices, landscape context, disturbance, and the local environment on communities. My research is grounded in the natural history knowledge and experience I have gained over many years working as a field botanist and ecologist in several regions of North America. Currently, I am working in collaboration with the USDA Forest Service’s Regional Ecology Program to analyze interactive effects of fire severity, historical disturbance regimes, and spatial disturbance heterogeneity on plant and lichen communities in the Sierra Nevada. I envision my research program as part of a larger movement to broaden conservation management and restoration ecology into a predictive science, where tools are available to help managers use landscape context, site environment, and plant functional traits to guide practices. What is the relative importance of landscape and local factors for plant and lichen diversity? Plant and lichen communities can be influenced by both the local environment and the surrounding landscape, but how does their relative importance vary? I have found that habitat specialist plant species may be more sensitive to habitat spatial structure than generalists. I am currently testing how the size and connectivity of oak savannas influences lichen diversity relative to local environment and biogeographic factors in southern Oregon. This comparison of an Ozark glade landscape in 1939 and 2014 shows that tree cover has increased dramatically. How do plant and lichen functional traits respond to landscape context and disturbance history? 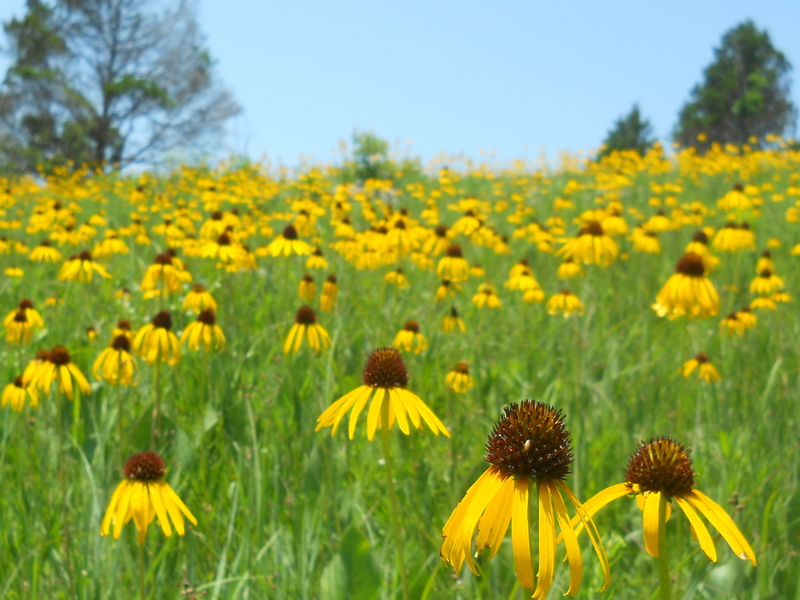 Can functional differences between early successional species and late-successional species be used to inform management and restoration practices? Functional traits can provide key information about how organisms respond to the environment. For example, dispersal traits may help explain species distributions in fragmented landscapes. Species dispersal traits along with persistence traits may also correspond to differences between early and late successional plant species, with potentially important implications for ecological restoration. Using functional traits to inform conservation and management practices can potentially strengthen connections between basic and applied ecology. I am developing experimental manipulations of lichen community functional traits to test community assembly processes. When do altered disturbance regimes cause structural shifts in ecosystems, such as woody encroachment in grasslands, or forest conversion to shrublands? How do altered disturbance regimes affect biodiversity? Wildfire frequency and severity has shifted away from the historical range of variation in many ecosystems. Previously, I have used aerial photo analyses to identify nonlinear patterns of woody encroachment in fire suppressed grasslands. My current work in the Sierra Nevada tests how plant and lichen communities respond to the increasing size of high-severity burn patches in montane forests. What factors shape the abundance, diversity and distributions of biological soil crust lichens? 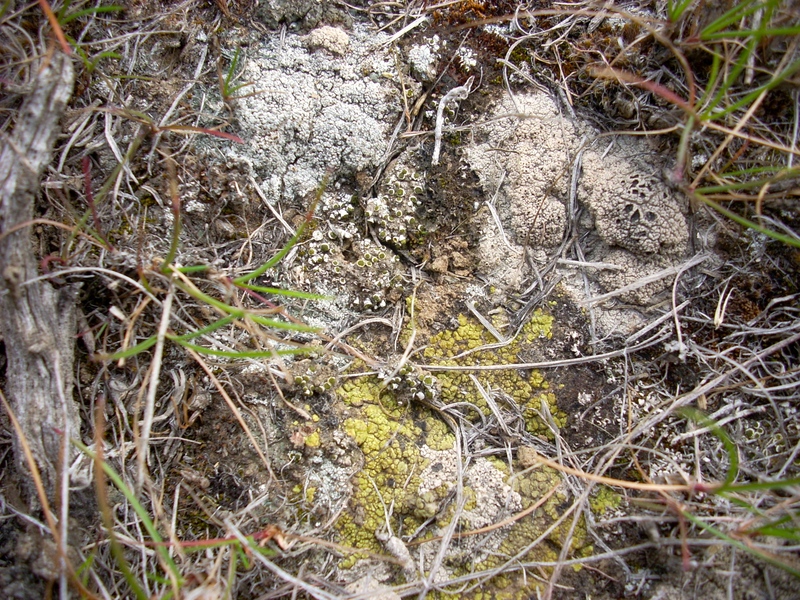 Soil-dwelling lichens are an important component of biological soil crusts (the living, breathing skin of the earth), and contribute significantly to biodiversity in arid and semi-arid regions. These organisms play important ecological roles, such as preventing wind erosion and the invasion of exotic grasses. They have been little studied, in part because of their cryptic nature, and their distributions and environmental niches are often poorly understood. I have worked on collaborative studies of soil crust lichen communities in sagebrush country of central Oregon as well as the Ozarks.